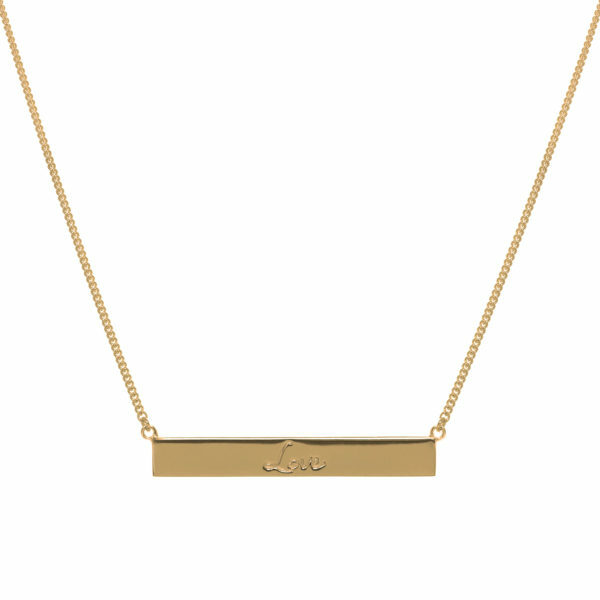 The perfect reminder of how much you are loved, and of all the people you love. Celebrate love, and remind yourself to do everything in life with love. Available in 925 Sterling Silver, 18ct Gold-Plated 925 Sterling Silver or 18ct Rose Gold-Plated 925 Sterling Silver. FREE DELIVERY. Sold by Mantra Jewellery. Available in 925 Sterling Silver, 18ct Gold-Plated 925 Sterling Silver or 18ct Rose Gold-Plated 925 Sterling Silver. 3.5cm pendant hangs from 16-20in chain. The chain has a lifetime guarantee. A perfect gift for birthday, anniversary, Valentine’s Day or an uplifting treat for yourself. The horizontal bar is engraved with the word ‘Love’, and the back is decorated with the iconic lotus symbol. 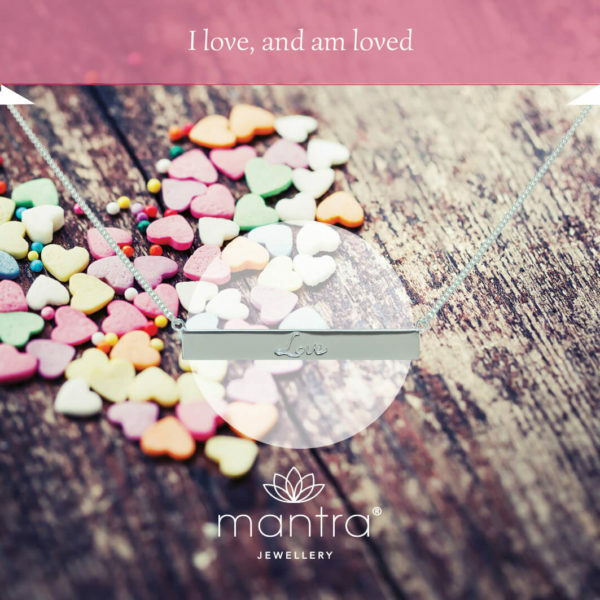 Mantras are powerful phrases, intended to make a positive effect on how we feel. Repeating a mantra uplifts, reassures and motivates; as well as encouraging self-belief. 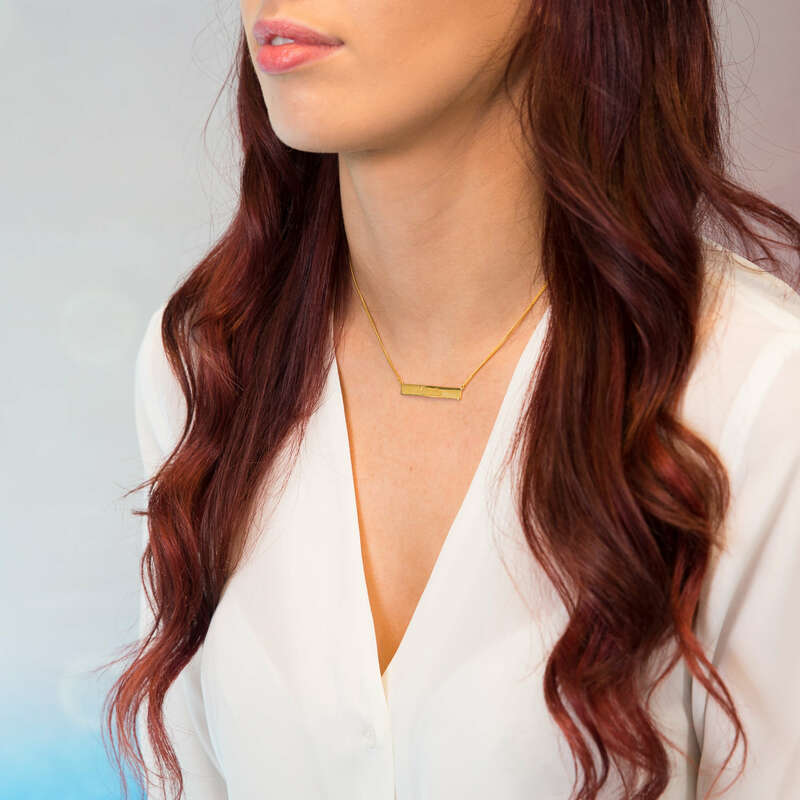 Hold your necklace from time to time through the day, and say its mantra to yourself, when you need motivation or feel in need of a joyful boost. Mantra Jewellery is intended to provide a beautiful and personal means of wearing your mantra, in a way that lasts, whether you buy it yourself or it is a gift. 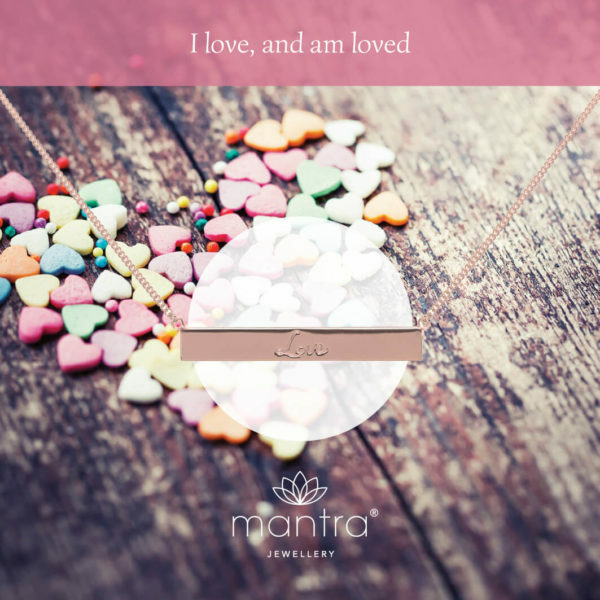 Wear your Mantra Jewellery to feel inspiration throughout the day. FREE UK delivery, first class with Royal Mail (approx. 3-4 working days). 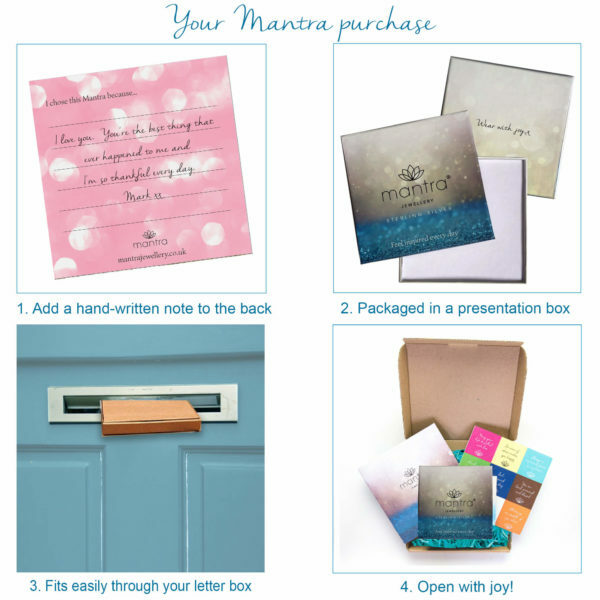 You have 14 days to return your Mantra Jewellery for a refund or exchange, as long as the item is unworn, in its original packaging and in the same condition in which it was sent out to you. Mantra Jewellery comes with a 2 year warranty against manufacturing faults. This does not cover normal wear and tear, such as scratching to the surface or the plating wearing off over time. The Mantra chain comes with a lifetime guarantee against manufacturing faults. Email us at [email protected] for the address to return your jewellery to.